On Tuesday, December 20 at 8:00pm in the Waterfront, Movie Scene Queen will be hosting a special screening of Jackie. Who’s your favorite First Lady? Comment below with your answer for passes. Michelle Obama, a dignified, personable, educated, loving Lady! She has set a very high standard for all the rest yet to come. With her oratory she should run for office. Jackie O! She defined being a First Lady. I do not have a favorite. I suppose Michelle Obama resonates more with people than many of the previous first ladies. I would have to say Betty Ford. She faced her own addiction issues to become the founder and Chairperson of the Betty Ford Clinic, as well as addressing topics such as the ERA, equal pay for men and woman, etc. Jackie of course such a stunning and beautiful first lady. She also was so brave in the tragic death of the president. Is it too late to receive passes for this movie screening? From down here in Sydney, Michele Obama is a beacon light. In terms of the film Jackie, Natalie Portman gives an unforgetable performance about one of the most memorable events of the last century. 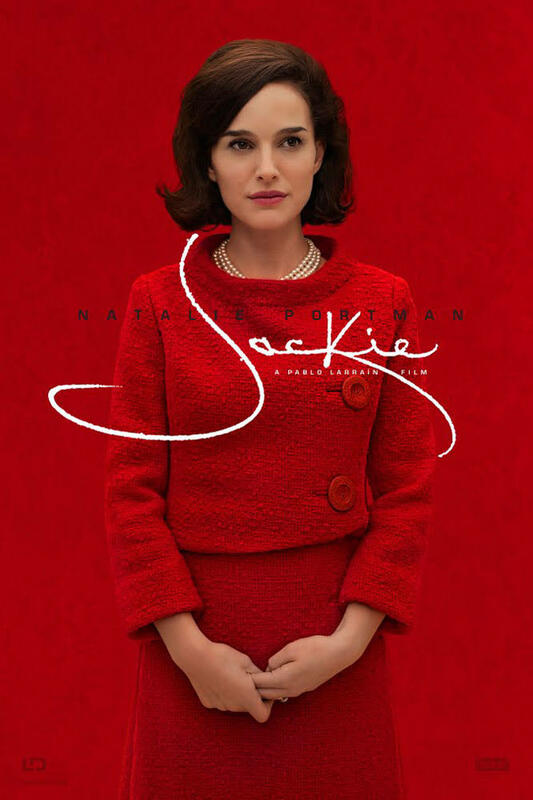 Her capacity to portray the multiple personalities embedded within the persona of Jackie in the midst and aftermath of JFK’s assasination is truly extraordinary.